How Proekspert helps younger generations embrace robotics and make the world ready for AI. We believe in the importance of understanding one’s tools; a painter should know how to wield his brush, and a surgeon must know how to handle her scalpel. In the dawning age of robotics we must understand our smart tools—which are totally unique to our time. And because the true age of AI will belong to future generations, Proekspert considers it a responsibility to promote robotics education. Our Beautiful Code Award team Robotex, probably the largest robotics competition in the world. Proekspert is an active participant and continual backer of Robotex, which recently applied to the Guinness World Records to be listed as the largest robotics competition in the world. 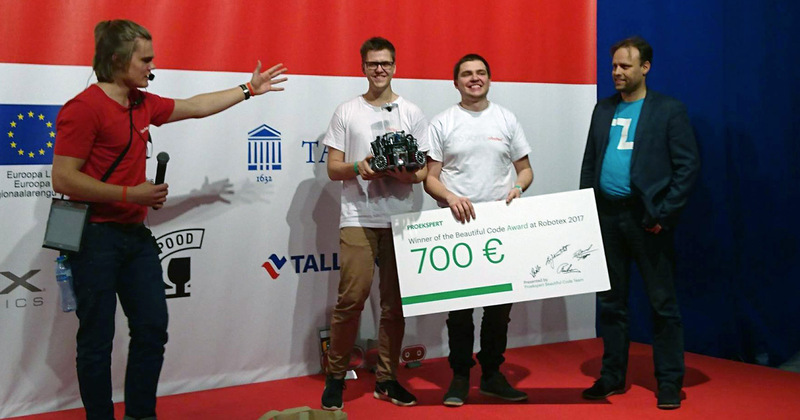 With more than 1,300 robots, hundreds of teams, and tens of thousands of participants, the event has had an undeniable impact on robotics education in the Baltics. Our employees are always eager to participate in the competition, helping Robotex teams make their robots smarter. Proekspert has launched the traditional Beautiful Code competition at Robotex to young developers the opportunity to showcase some of their best and most innovative work. 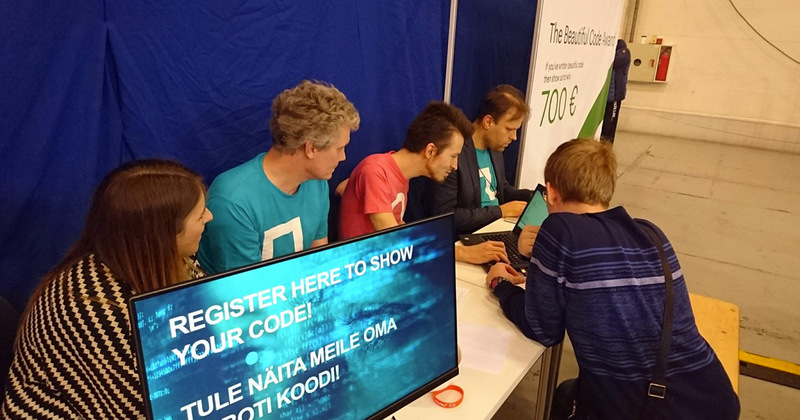 Competitors vary from juniors to seniors – there is no age limit for writing beautiful code! We also support student robotics teams in competitions and hackathons, offering expert mentorship. 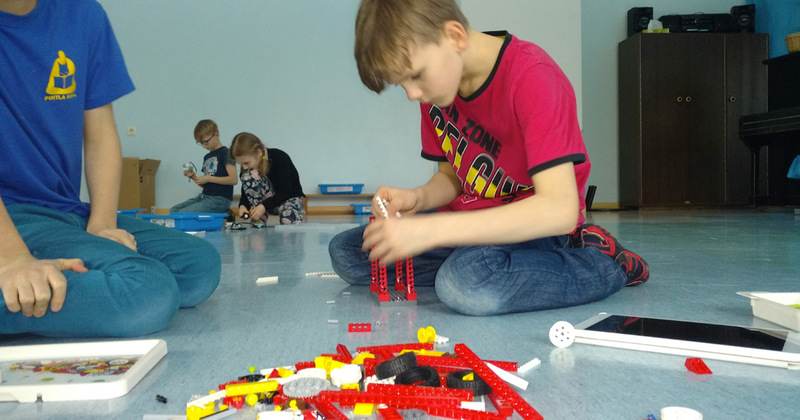 We’re actively involved with a variety of robotics clubs across Estonia, and we provide work-shadowing opportunities to the young club members so they may get a first-hand look at how Proekspert develops smart products connected to data science, including machine learning and artificial intelligence. We’ve found that the benefits of this mentor relationship run both ways: we help kids find their potential in robotics and IT, and the children inspire us with their enthusiasm. Also, employees who support student teams, mentor young talent, and play around with crazy ideas during hackathons, find that it feeds their own thinking and work in interesting ways. We learn by teaching. One of our most recent projects was to establish a robotics club for school children on the island of Saaremaa. Proekspert employees run the club, where emphasis is on teaching kids how to build robots and expand their analytical thinking. The next generation robotics pro-s from Saaremaa. The more we work with young minds, the more we are motivated in our own work, and the more we’re convinced that the future is bright. With a little effort, the experts of today can pass on their knowledge, preparing a new generation to develop even more innovative tools. 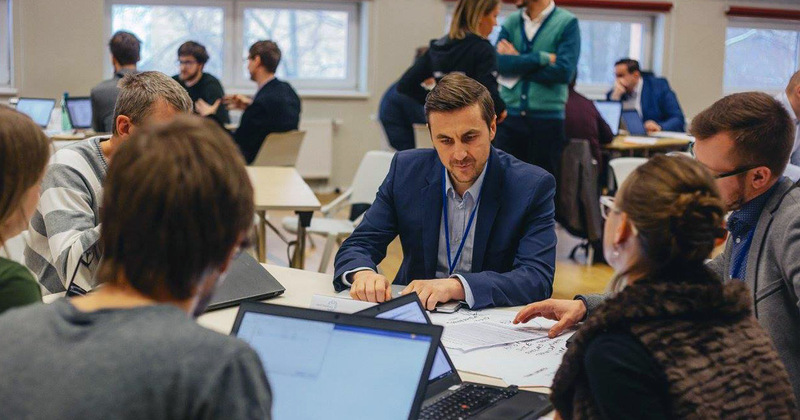 Tähve Lõpp, Proekspert´s Business Developer, mentors at the Smart Industry Hackathon.